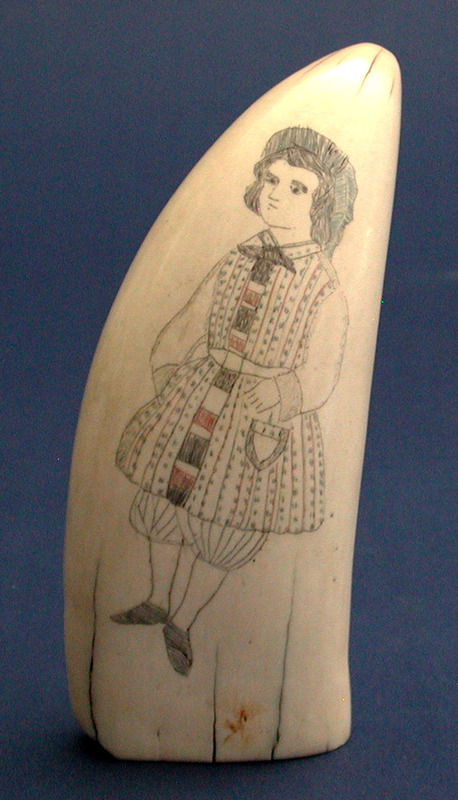 SCRIMSHAW TOOTH engraved with a portrait of a well dressed young child. Nicely executed and highlighted with red and green coloring. 5" h. Condition very good. Light age patina. Circa 1840.